If you have a child, you’ll have read Dear Zoo – many, many times probably. First published in 1982, this simple story of a child writing to the zoo for a pet and being sent all manner of inappropriate animals, has sold over eight million copies worldwide. It’s a surprise therefore, given the bankability of such an endeavour, that this is the first time it’s ever been staged. The set and costumes, by Ian Westbrook and Anne Hewitt respectively, are lifted straight out of the book, and while such a tactic succeeds in creating a familiar environment for young audiences, it’s disappointing that director Michael Gattrell has played it so safe. The script, written by Dear Zoo’s original writer and illustrator Rod Campbell, is also faithful to the book, filling out its plot with lazily written songs for the animals and inane chitchat by its three human characters. There’s not a moment of drama to be had. 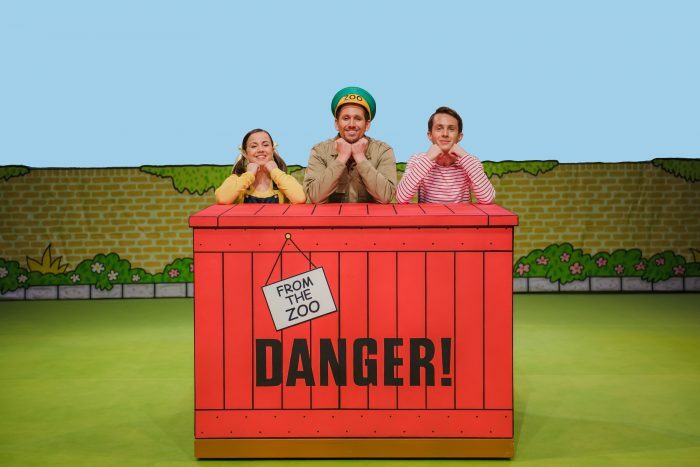 Aaron Spendelow, as Sam the Zoo Keeper, Harrison Spiers as Ben, the boy who wants a pet, and Sally, his friend, are engaging enough to get the children out of their seats for a few fun moments of gentle audience interaction, but all three performances are irritatingly one note. It’s not their fault – Gattrell, who specialises in directing pantomimes, seems to be of the opinion that children must be talked to very loudly and very shrilly if they’re to understand anything that’s going on. Emma Longthorne, voicing the various animals, offers some much needed relief on this front. Don’t get me wrong: lots of the two-to-six-year-olds in the audience enjoyed the silliness of this production. It’s just a shame that it has so little else going for it. Young audiences deserve better. 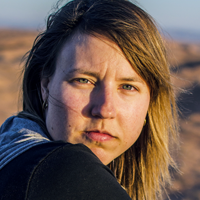 Jo Caird is a freelance journalist with over 10 years’ experience covering the British and international culture scene for publications including The Guardian and The Economist.